You can download this mod and get the best sets of armor of characters with unique superpowers. An interesting contrast Project Superhuman modification - the complete absence of crafting recipes. How to make a superhero costume? The player must kill mobs and to select points. By bringing the right amount of points, you will need to buy the costumes of superheroes in a special shop. 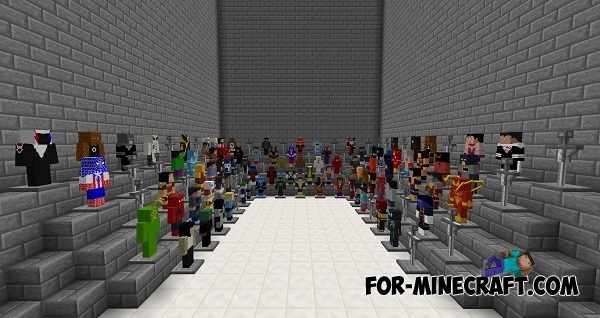 Fabulous mod for Minecraft PE 0.10.5This mod allows you to make your hero in the game are real hair, and get points for it. They will be required to destroy mobs, or if when you have low health.